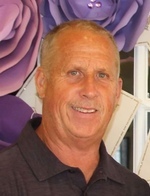 Jeffrey Craig Pageau, 58, of Hamilton, passed away peacefully at Capital Health Regional Trauma Center on Saturday March 31, 2018, with his wife and daughter by his side, from injuries sustained during an assault. Lovingly referred to as ‘Jeffy’ by his family and ‘Page’ by his friends, Jeffrey was born August 12, 1959 in Ewing but later moved to Hamilton where he lived for over 20 years. Before graduating from Ewing High School in 1977, Jeff spent his childhood playing sports including soccer, baseball, bowling and golf. Jeffrey was a member of the Ewing High School boys soccer State Championship team in 1975, of which he was very proud. After high school, he attended Trenton Technical Institute. For over 25 years, Jeff worked as an insulator with Local #89, retiring on February 1, 2014. In his spare time, Jeff enjoyed fishing, golfing, softball, gardening (he was known for his legendary tomato plants), bird watching, and hosting family and friends at backyard gatherings. An animal lover, Jeffrey volunteered with Freedom Train Animal Rescue Transports. Jeff was blessed to have had a multitude of friends over the years, whom he considered to be family, including his neighbors. Jeffrey is predeceased by his parents Joseph E. Pageau and Doris (Valcourt) Pageau; brother Steven E. Pageau; brother-in-law David Popp; and niece Jennifer Popp. He is survived by his wife Joan (Volen) Pageau and daughter Carly Pageau; his beloved dogs Bella, Sugar, and Cinnamon; his sisters JoAnn (Pageau) Popp and Nancy Pageau; brothers-in-law John Volen and Peter Jargowsky; nieces Kristin Pageau, Tanya Colon, Kimberly (Popp) Porter, Melissa Popp, Andrea (Jargowsky) Quinter, and Tara Volen; nephews Jonathan Popp, Shaun Pageau, Peter Joseph Jargowsky and Justin Pageau; and many great nieces and nephews, including Zachary and Peyton Pageau, who were like grandchildren to him. The family would like to thank Capital Health Regional Trauma Center, especially the Trauma ICU staff, for their incredible care and endless support.